A Proposal Story: Erin & Vijay! Vijay and I met when Vijay was interviewing for jobs in the MA area. At the time he was living in DC, but wanted to relocate to the Boston area. He landed a job interview in Worcester, but did not have anywhere to stay. He ended up calling one of his few friends in MA, and asked if he could stay with her the night before the interview. That friend was, conveniently, my roommate at the time! Vijay stayed with us for a couple of nights, and while we didn't have too much time to get to know each other, I was immediately attracted to him, and ended up friending him on FB after he left town. Long story short, Vijay did not get the job he initially interviewed for, but got another job in MA instead. Vijay and I had stayed in loose contact over FB, because we were both looking for jobs in the ministry field (I was preparing to graduate from grad school at the time). Vijay moved to MA in August, and we saw each other a few times here and there, because of mutual friends. Due to a few major miscommunications and mixed signals (at the time, these felt devastating, now we look back on them and laugh! ), it took us a while to realize that we were both interested in one another. After four months of living in the same state, and seeing each other occasionally, Vijay finally decided enough was enough, and called me at work to ask me out! A funny side bit- Vijay thought he was calling my direct line, and didn't realize he was actually calling the main line, and would be speaking with the receptionist first. He was so nervous that when the secretary said hello, he asked her out instead! By the time he was transferred to me, he was beyond flustered! I thought Vijay wanted to meet up for professional networking (we were both in the same field), and it wasn't until our mutual friend told me he intended it to be a date that I realized what was happening! We met up for coffee on December 11th 2013, and talked, and talked, and talked some more. We didn't even realize how much time had gone by until the barista came over and informed us the coffee shop was closing. We had talked for over five hours! We both left that date knowing that something special was happening. - Tell us how they proposed!! - Be as detailed as you would like! Vijay proposed on April 15th 2015. The day was like any other, and I woke up having absolutely no idea that Vijay was going to propose! I had no idea that he had been shopping for a ring, and the ring had been hidden in his apartment for over a month. We had talked about marriage, but I honestly thought he would propose over the summer. April 15th was not a special day for us in any way. The day was a normal one, and after work I headed over to Vijay's apartment. We decided to go out to dinner, and ended up having the worst dining out experience ever! After our disaster of a dinner, we headed back to his apartment. We were just cuddling on the couch, and I snuggled up to him and said, "I can't wait to marry you!" Vijay said absolutely nothing in response to this. Little did I know that Vijay took this as a sign that the moment to propose was now. His heart started beating really fast as he internally debated over what to do. I was laying against his chest, and could feel his heart beating rapidly. I even asked him if he was okay, commenting that his heart was out of control. However, I did not have the slightest idea that he was preparing to propose! Vijay then got up, and went into his room. I thought he was just changing into his PJs or something. I had no idea that he was getting the ring out from its secret hiding space! Vijay then went into the kitchen (I thought he was getting a snack), and asked me to come in and look at something. I had been laying on the couch this whole time, and rather than get up, I just shouted, "What is it?". He told me I had to come in and see for myself, and I begrudgingly got up. When I turned the corner, there was Vijay, on one knee, with the ring box in hand. I went into shock, and the first thing I said was "Wait, is this real?" Vijay then said, "Well,if you say yes, it is!" I don't really remember what happened next, because I was so surprised and everything was a blur. Vijay tells me I said yes nine times (he counted), and then I started crying. He was worried I was going to pass out because I was so overwhelmed with what was happening (overwhelmed with joy, of course!). We then called our parents and family, who were just as surprised as I was with this unexpected Wednesday proposal! 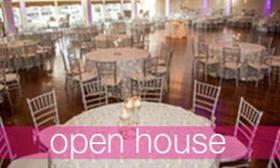 - What is your wedding date, and have you picked out your colors/theme? Our wedding is July 2, 2016. Our colors are light pink and navy. We don't have a specific theme, but we are trying to create a look that is soft, romantic, and slightly vintage (pearls, gold accents, burlap, lace). 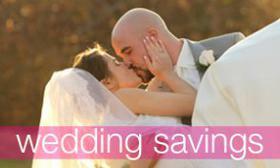 - Why did you choose the CCB for your upcoming wedding? 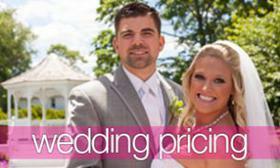 We choose CCB for our wedding because we loved that the venue was beautiful, but simple. We felt there were so many possibilities to decorate, and make the venue our own. Some of the other venues we looked at did not have as much flexibility, and we appreciated that CCB was open about pricing and options. We both had a great feeling about CCB based solely on the website. We toured 6 venues in one day, and started with CCB. The other venues paled in comparison! - What are you most looking forward to on your special day?! We are most looking forward to having our friends and family all in one place! We are from two different states, and have lived in numerous parts of the country. A lot of Vijay's family also lives abroad, so we have never had the chance to have all of our loved ones meet one another, and be together at the same time. This is probably the only time in our lives that everyone will be together! *Erin and Vijay - Thank you SO much for sharing your special story with us! We are so honored and cannot wait to be a part of your special day on July 2nd! !